My garage door won’t close. What’s going on? 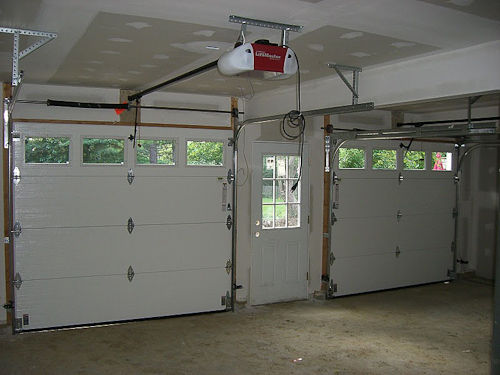 Many garage door openers have security measures to head off accidental harm to individuals and property. When one of them is activated or not working, the door will not operate. We can help you assess your problem over the phone to help figure out if a trained technician would be helpful. If your door will not lift, you may have a broken spring. 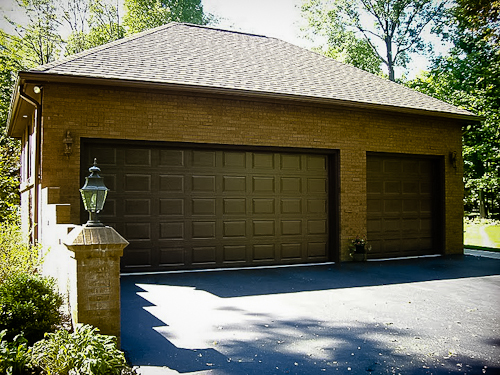 Your garage door is the biggest moving object in your residence, and like any other, it is a machine that needs regular care. Sometimes components do break or wear out and need to be replaced. A broken spring will stop a door in its tracks. Reach out to us and we will help determine if you simply need to replace a battery in your remote, or perhaps a professional service visit would be the optimal solution. 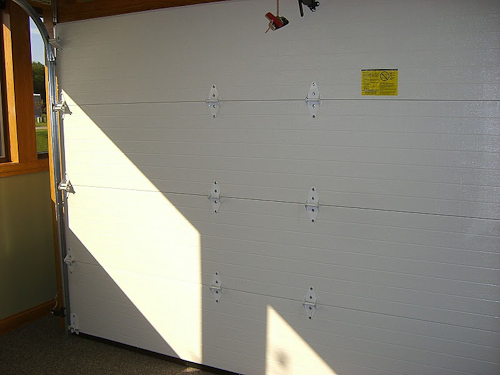 The garage door most in demand is two car door, 16×7 in size. The common total price for this size door without windows will come to between $750 and $1000, indicated by your choices for door style and options. Smaller doors will run even less. Contact us for a free estimate! Our sales staff is ready to assist you in choosing the perfect door for your home or building. How do I know if I should fix my door or replace it? 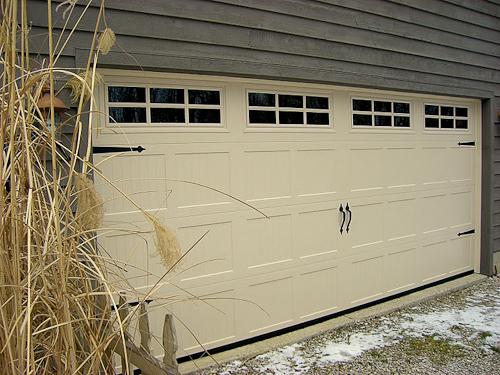 With the right maintenance schedule, some garage doors are still running fine after over fifty years, while other garage doors seem to be slated to fail in around seven. With wood doors, you may find that those made over 40 years ago can still be excellent and serviceable, even though extensive reconditioning is often useful. Newer wood doors are more likely constructed of weaker woods that simply do not last like higher quality woods. 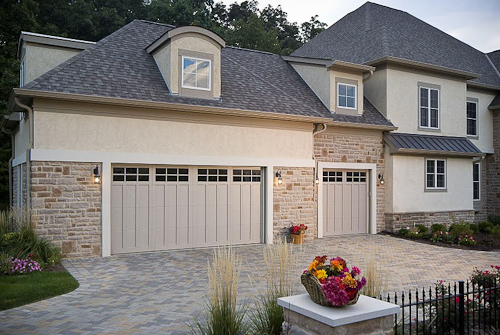 Steel is prevalent as a garage door material, and they usually last a long time if produced and installed with careful attention to quality. 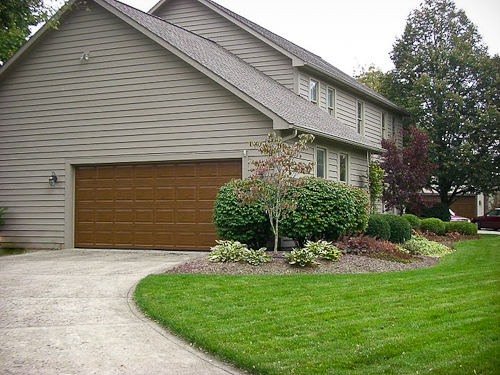 You know you need a new steel door if you find creases or cracks down the center. But when it looks great externally, it is most likely in need of a simple repair. In any case, we would love to hear from you! What Models or Brand name does your company service? How do I decide whether to buy insulated door products? Can I see how different doors or colors or windows will look on my house? Just take a picture of your home upload your photo into Haas Create and you can drop different models colors or window options in and visualize what the door will look on your home. How are your technicians certified? To provide our customers with additional value we certify many of our our installers through IDEA for a higher quality installation. We feature many locally made products, several manufactured in Ohio and Haas Doors are manufactured in Fulton County. Let your guys know they did a good job. Everything looks and works great. Thanks. Thank you for sealing our doors so good! They have never sealed like this! And they are so quiet! I’m writing to thank you for the service your technicians gave us on the sale and install of our door! They both were very courteous and professional in the performance of their duties. I’m sure you are pleased with them knowing they represent your business dealing with satisfied customers. I mentioned to your tech the fact that my wife washed my pants with the garage door opener inside; ruining it and I had lost my 2nd remote somehow and had no portable remote. After coming home and seeing the garage door installed professionally, my wife gave me a remote Eric had left for me. I call that going the “extra mile” for a customer! Thanks again and I’ll be sure to recommend your business to my friends and family after this pleasant experience! 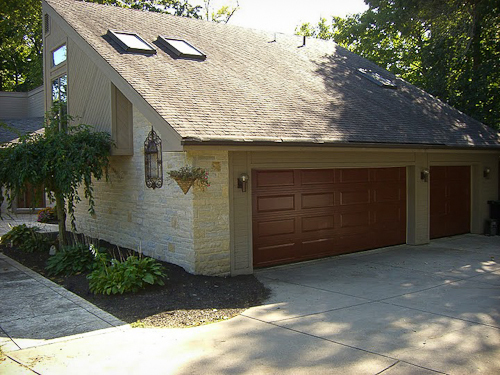 We just want to thank you so much for all of your help regarding our garage door. We are so happy to have it working again. Also, please thank your technician for us as well. Your technicians did an efficient and quality installation. Thanks so much! Your technician worked on our door and I just wanted you to know what an asset he is to your business. He was friendly and knowledgeable about your product. He goes the extra mile to make sure the customer is well taken care of. Thank you for great service. 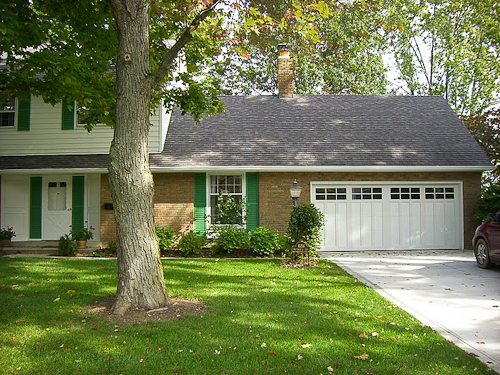 Serving residential & commercial customers in Northwest and Central Ohio for over 60 years.